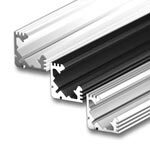 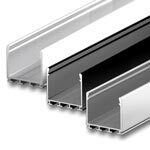 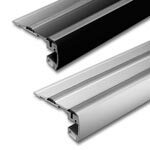 Our black double anodized aluminum extrusions come in 3 different styles with 3 cover options for each. 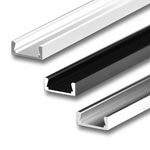 The sleek black extrusion is perfectly concealed in a number of lighting applications where you would prefer for your light source to be concealed. 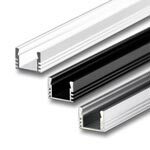 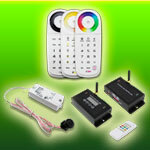 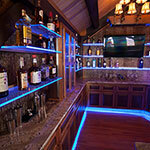 Use any of these black strip light channels with a variety of our different 12VDC and 24VDC strip lights to build custom lighting fixtures and light bars.